Make sure to rummage through all parts of your house to find any clothes, toys, appliances, or other trinkets that you no longer have use for. Generally, the rule of thumb is if it was stored away in a box and unseen for years, it is time to give it away. Ask your children what clothes they have grown out of and what toys they no longer play with. These can find a new home with a family of young children. Additionally, make sure none of the items you are trying to sell are broken, beat up, or dirty. Visitors to your sale might see these items and be turned off from buying other things. Garage sales are typically held on weekends so that they can attract highest amount of customers. Limit your garage sale to one day, because the best items are typically bought on the first day of a sale, and shoppers know this. You will need to decide on what type of customer you are trying to appeal to based on what day you pick. Fridays are best to appeal to individuals who can shop during the day, while Saturdays and Sundays are more suited to attract the office working crowd. 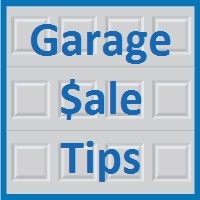 Most importantly, you need to make sure potential customers know about your garage sale. Be sure to post the sale details on Craigslist.com or your local newspaper’s classifieds. Additionally, make a Facebook status to notify your friends. It also helps to put up signs around your neighborhood that give your address and point customers in the direction of the sale. When it comes to the day of the sale itself, make sure you have a sign in front of your house so customers know they have arrived at the right place. Have your best looking items displayed on your driveway, and use your garage for the rest. Also, make sure your items are organized so customers are not confused. At the end of the day, find somewhere to donate or throw out the items that haven’t sold. It makes no sense to hold onto items you were planning on getting rid of in the first place. Most charities organize garage sale pickups that will take your unsold items. We hope these garage sale tips will help you in reducing your clutter and provide some extra cash. If you are thinking about what a new garage could look like, please view our Blue Sky Builders garage gallery to see some examples of the garages we have built. 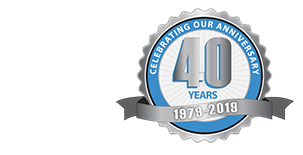 We offer free garage consultations upon request. Contact or call us at 630-852-8485.